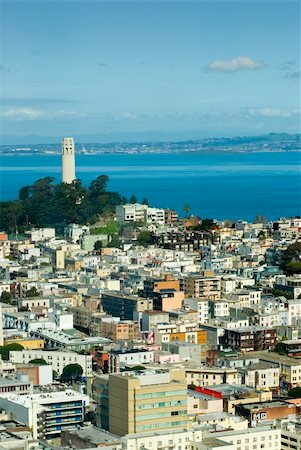 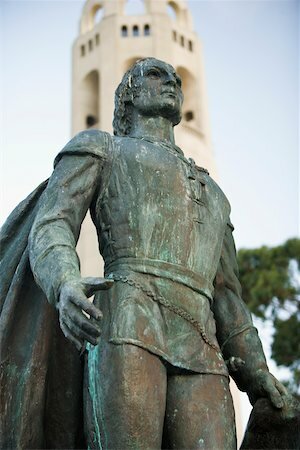 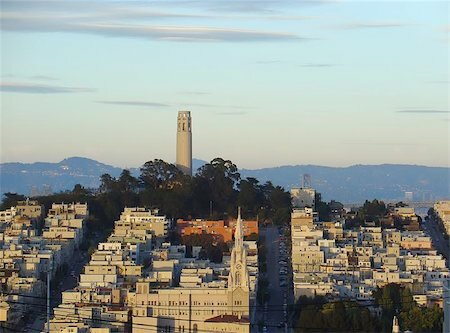 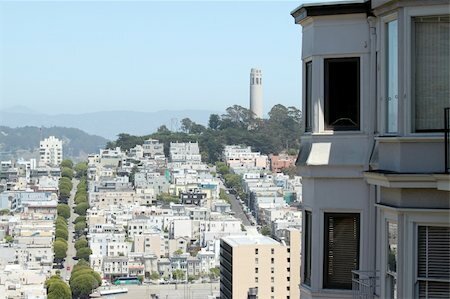 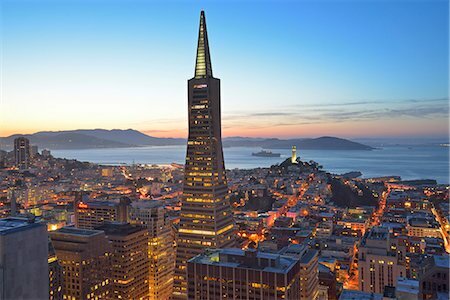 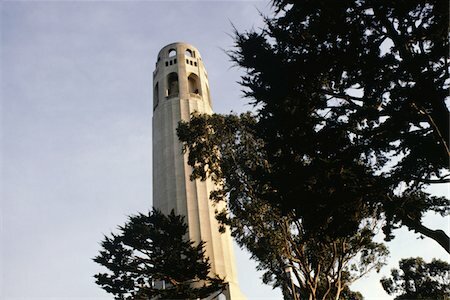 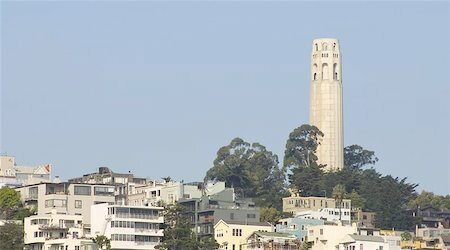 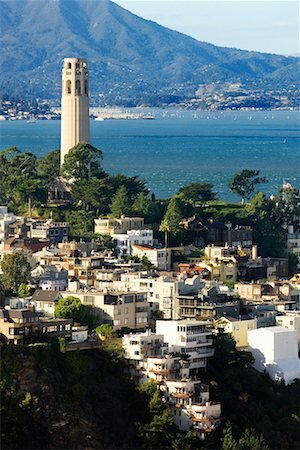 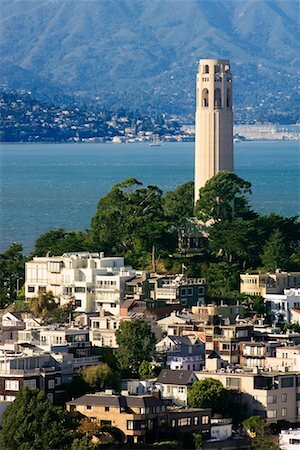 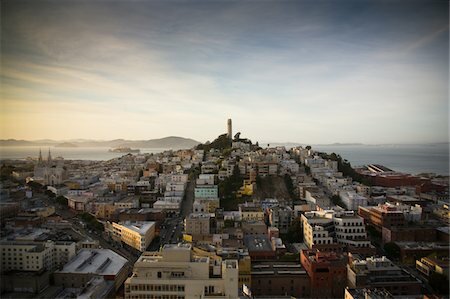 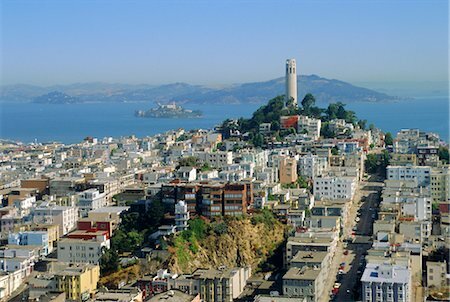 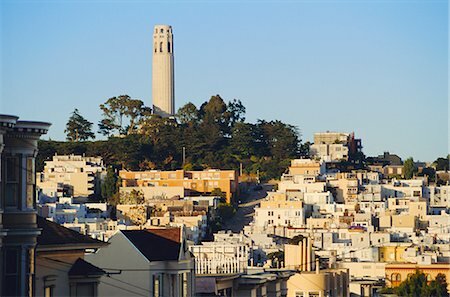 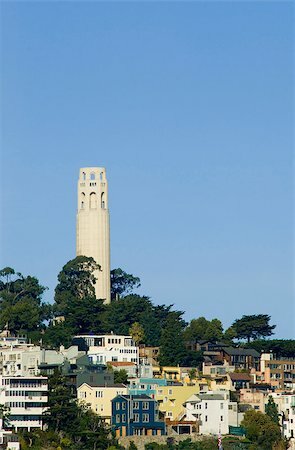 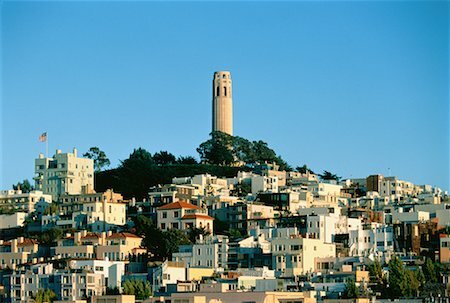 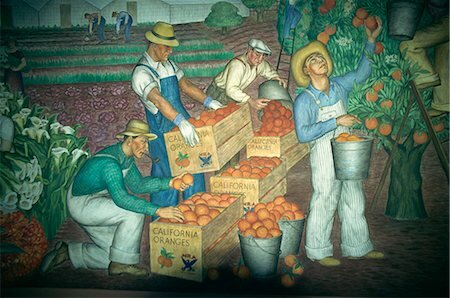 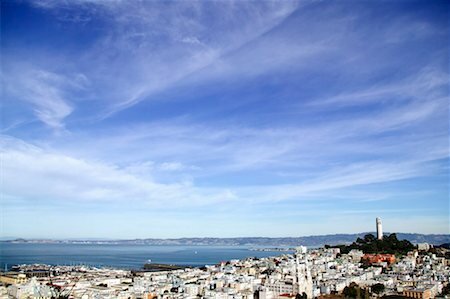 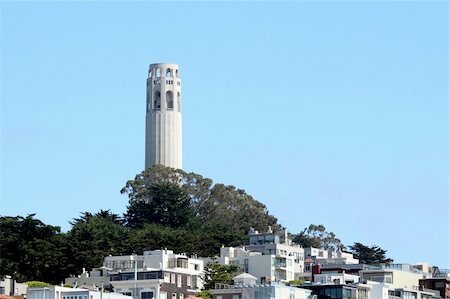 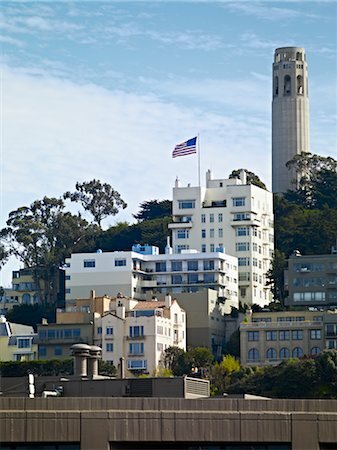 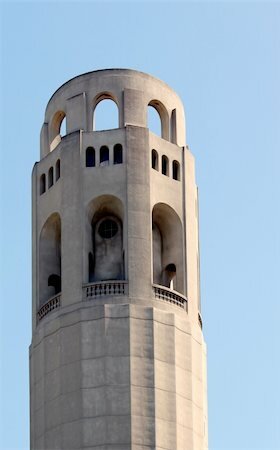 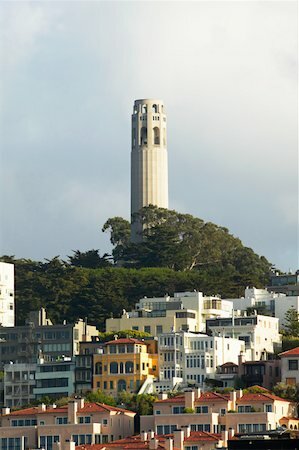 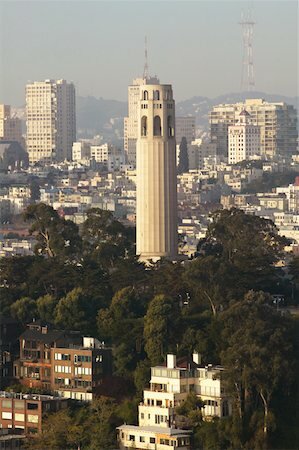 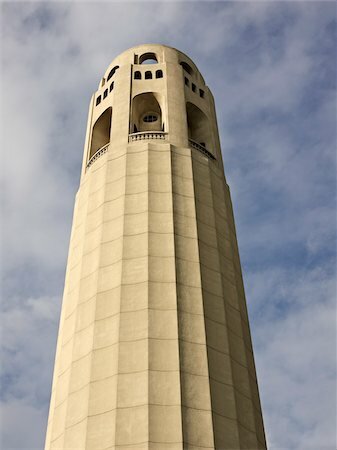 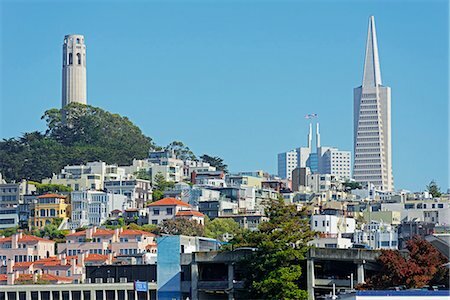 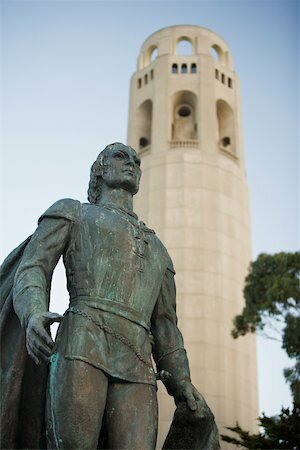 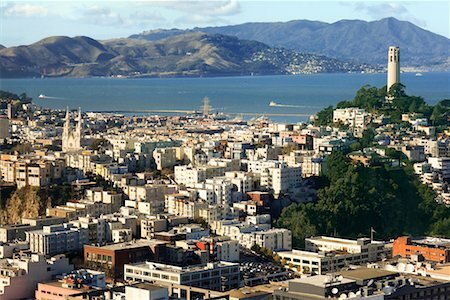 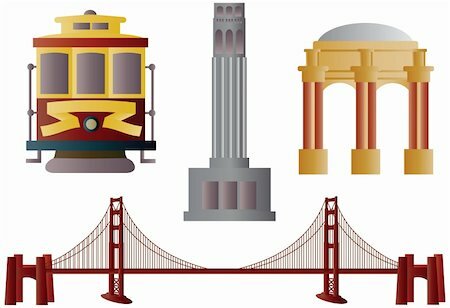 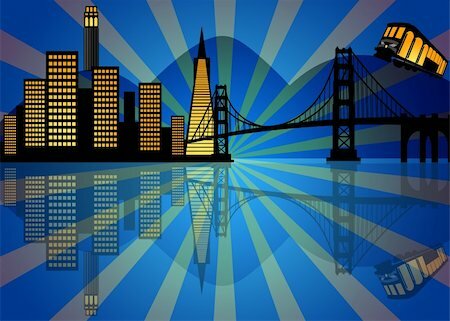 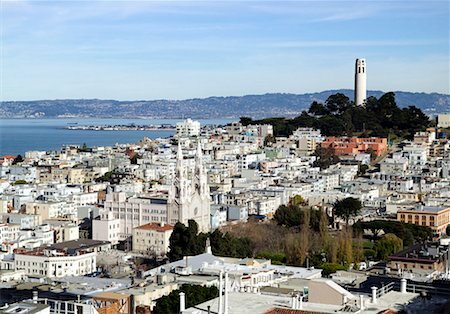 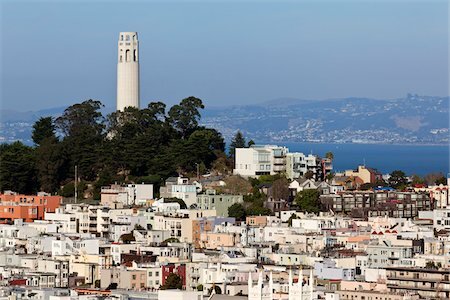 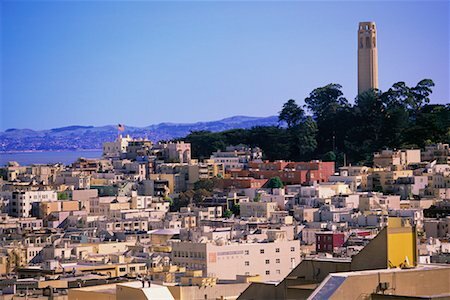 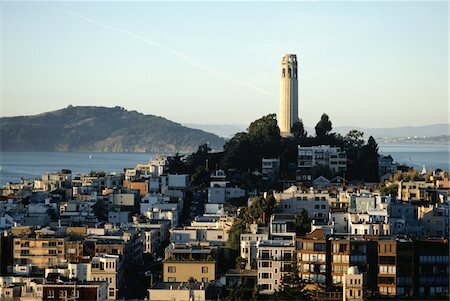 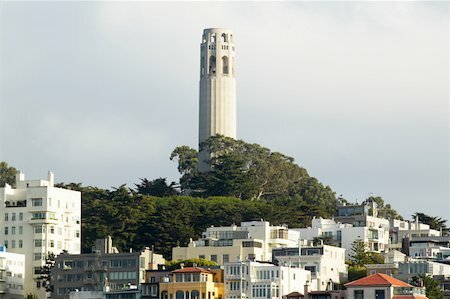 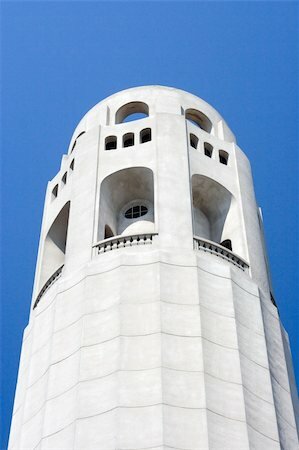 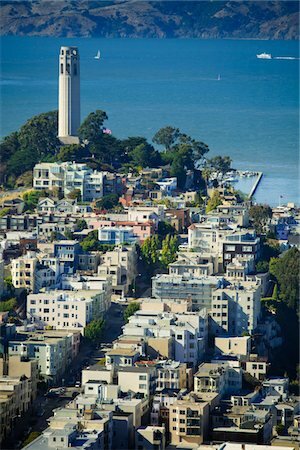 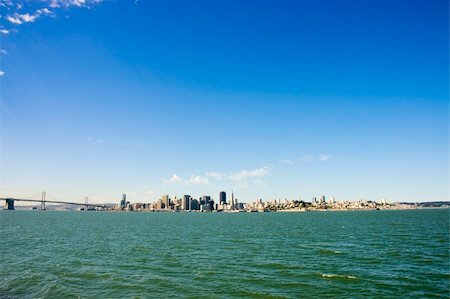 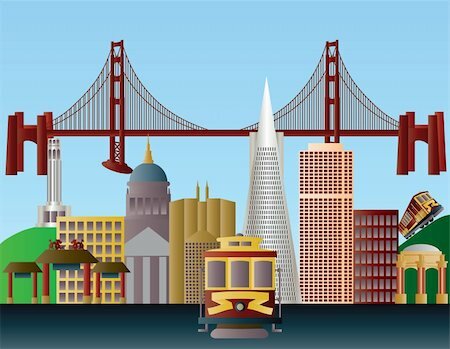 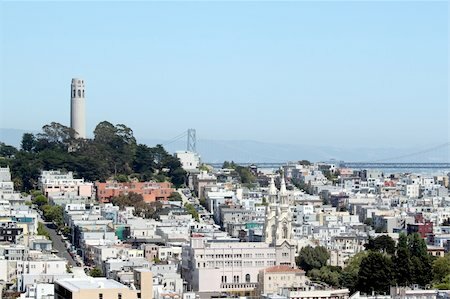 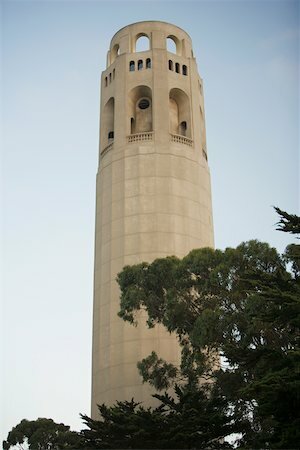 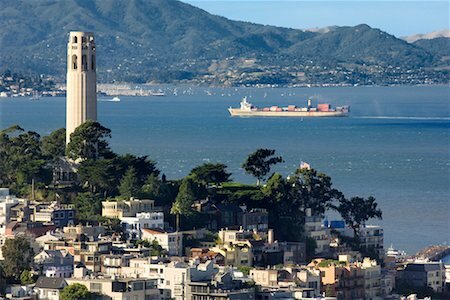 Coit Tower is a famous landmark in San Francisco. 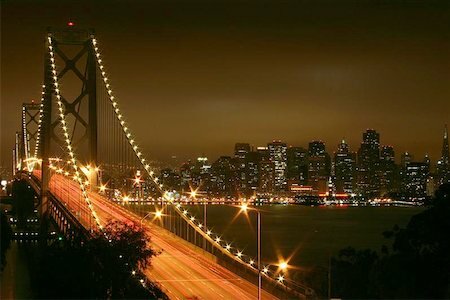 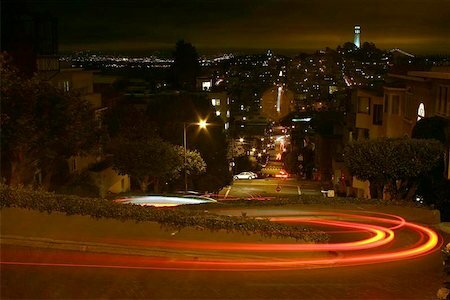 Car going down Lombard Street in San Francisco, California, U.S.A. 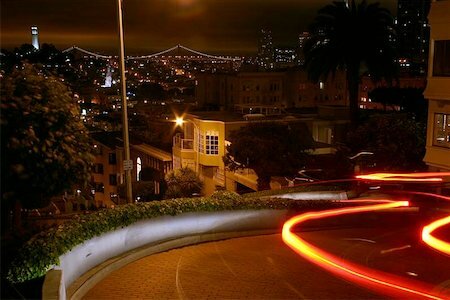 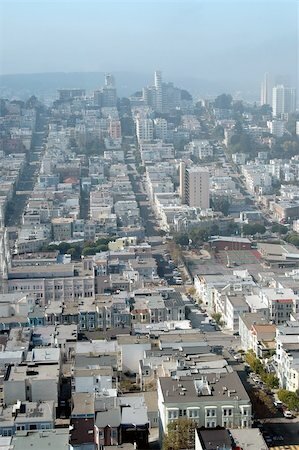 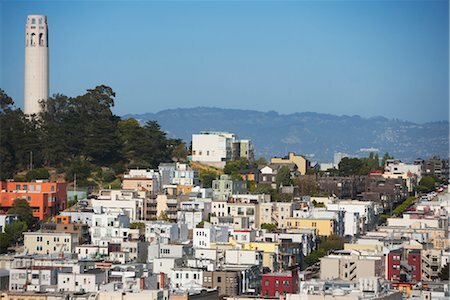 Car traveling down winding Lombard Street in San Francisco, U.S.A.
San Francisco's Coit Tower on Telegraph Hill. 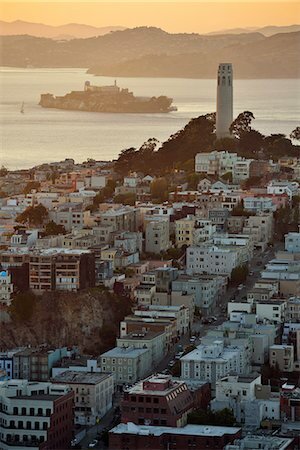 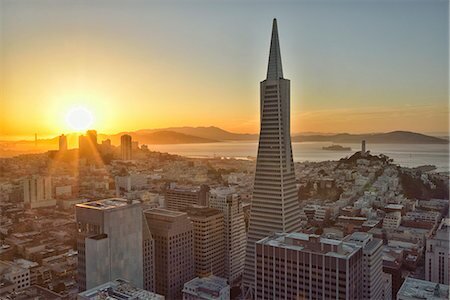 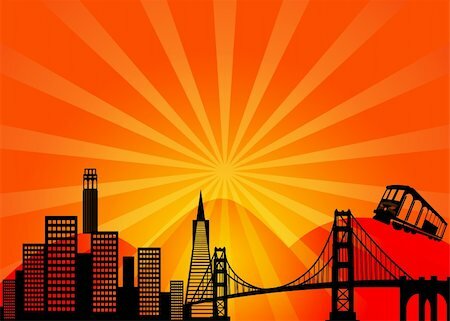 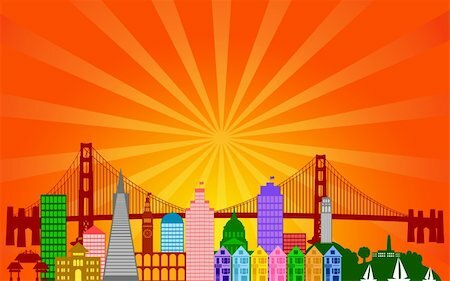 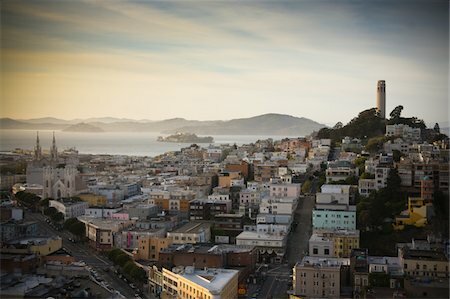 San Francisco's North Beach neighborhood basks in a golden sunset.